Been eating out alot for dinner around town. 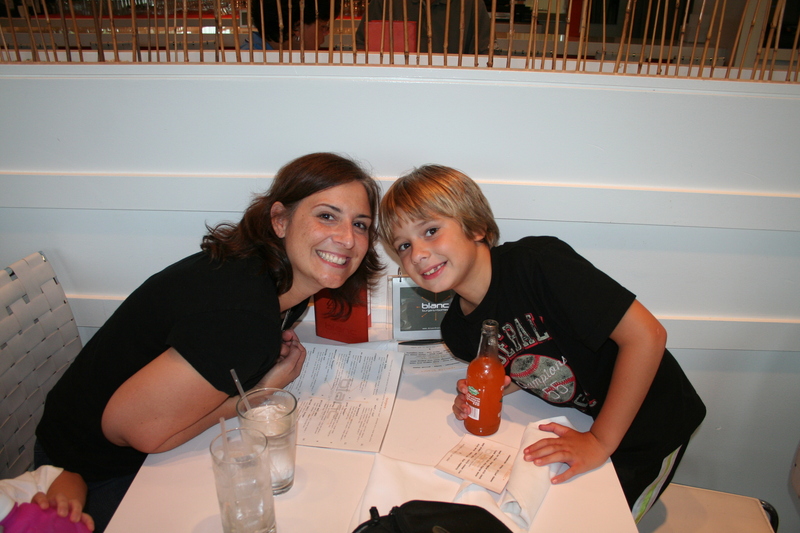 Here is a shot of laura on her birthday with Skyler at Blanc burgers. The other shot is of Todd and Wesley at Noodle and Company. Yum.